Mark W. Duffey is co-founder, president and CEO of Everest Funeral Package, LLC. Prior to Everest, Mark co-founded Carriage Services in 1991, where he served as president. In less than ten years, Mark helped Carriage Services grow into one of the largest funeral home organizations in the world – listed on the New York Stock Exchange (NYSE: CSV).Mark is widely quoted as an industry expert, featured in Barron’s, CBS Early Show, Designing Spaces on Lifetime Television, The Wall Street Journal, The New York Times, USA Today, Chicago Tribune, and Houston Chronicle, among others. Carolyn Johnson joined Everest in 2003 and is responsible for the strategic and operational management of all services delivered to Everest clients. Prior to joining Everest, Ms. Johnson spent more than 26 years at EDS, now HP. 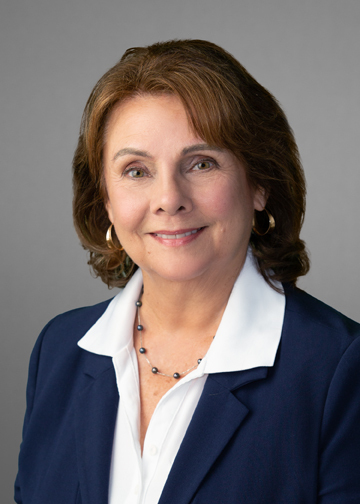 While at EDS, she held numerous positions ranging from Senior Sales Director for the Southwest Region of the U.S. to operational and client delivery senior management roles. Ms. Johnson is a member of Women in Technology International and a co-founder of The Origin Group, a consulting firm that helps school districts apply for technology grants. Mitch Nutting joined Everest in 2013 as the National Senior Vice President of Sales. Mr. Nutting, based in Calgary, oversees all strategic sales initiatives in the U.S. and Canada. Prior to Everest, Mr. Nutting served as Vice President of National Sales for Transamerica-Canada and most recently as Vice President National Accounts for Franklin Templeton Investments. Mr. Nutting’s 20+ year career in the life insurance industry has focused on developing and enhancing strategic business partnerships that drive sales growth. Mr. Nutting graduated from the University of Alberta in 1992 with a Bachelor of Commerce, beginning his career as a Life insurance agent with London Life gaining experience in both individual Life and Investments sales and also in Group Insurance. Mitch has been an active member in the Life Underwriters Association and Advocis, and received his Registered Employee Benefit Consultant designation in 2002. Brian Smoker joined Everest in 2007. He is responsible for overseeing all accounting, financial planning, risk management and other administrative functions of the company. Mr. Smoker is a certified public accountant with over 20 years of experience in accounting and finance roles at high growth, entrepreneurial companies. Prior to joining Everest, Mr. Smoker was a financial executive at companies in the event planning and legal services industries. Chris O’Grady joined Everest in 2005. He is responsible for managing all planning and concierge services, which are delivered by Everest’s team of licensed funeral directors, in addition to providing operational management of the PriceFinder℠ Reporting database. Mr. O’Grady is a licensed funeral director and has worked for an independent Houston funeral home, as well as two public companies in the funeral industry, Alderwoods Group and Service Corporation International. Mr. O’Grady is a member of National Funeral Directors Association as well as the Texas Funeral Directors Association. Helen Newman joined Everest in 2010 and is responsible for developing business opportunities in the Canadian market, through life and health insurers, banks, credit unions, affinity groups and related associations. Prior to Everest, Ms. Newman held executive roles with financial institutions such as Foresters, Assurant Solutions, Knowledge First Financial and FaithLife Financial, focusing on marketing and business development for more than 20 years. Ms. Newman, based in Toronto, has been an active member and participant in the Schulich Executive Education Centre, LIMRA, the Canadian Marketing Association, the American Marketing Association and the Direct Marketing Association and is a former Board Member of the Canadian Fraternal Association and a Past President of the International Insurance Accounting and Systems Association. John Clinton joined Everest in 2008 as Director and is responsible for business development activities. He has extensive experience in working with innovative companies in the insurance and financial services industry. John is a founder of Farmington Capital Partners (“FCP”), a merchant banking and advisory firm that works with emerging growth middle market companies in the insurance and financial services industries. John also ran the well-known insurance private equity fund CCP Equity Partners (formerly known as Conning Capital Partners) for 15 years. Collectively FCP and CCP invested in over fifty different insurance enterprises and assisted these companies in building franchise value. Mr. Clinton has served on the Board of dozens of private companies and charitable organizations.